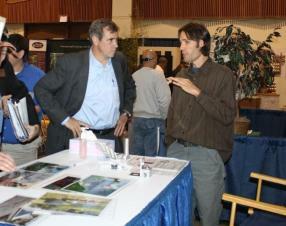 Garden and eco-living product and seminars are at the Good Earth Home, Garden & Living Show, today through Sunday. More than 230 vendors selling energy-saving thermostats, homesteading tools (think backyard chickens) and other sustainable products will be exhibiting at the free 9th Annual Good Earth Home, Garden & Living Show, today through Sunday at the Lane County Fairgrounds in Eugene. There will be 60 seminars including three presentations by Salvage Design Expert Shannon Quimby. Her home, the REX Project, is one of the nation’s first homes to be built without waste, with all of the old home recycled into a new one. Forager John Kallas, director of Wild Food Adventuresand author of “Edible Wild Plants: Wild Foods from Dirt to Plate,” will explain ways to embrace the culinary delights growing in Oregon backyards. Other demonstrations on five stages include Carol Deppe, author of “The Resilient Gardener,” giving ideas to improve gardening skills as well as workshops on raising urban chickens and the importance of saving bees. Where:Lane Events Center, Convention Center at the Lane County Fairgrounds, 13th Ave. and Jefferson St., Eugene, Ore. Cost:Free admission and parking. Bring canned food donations to benefit FOOD for Lane County. The OSU Extension Service booth at the Lane County Home & Garden Show is a popular place for people with questions about home gardening. 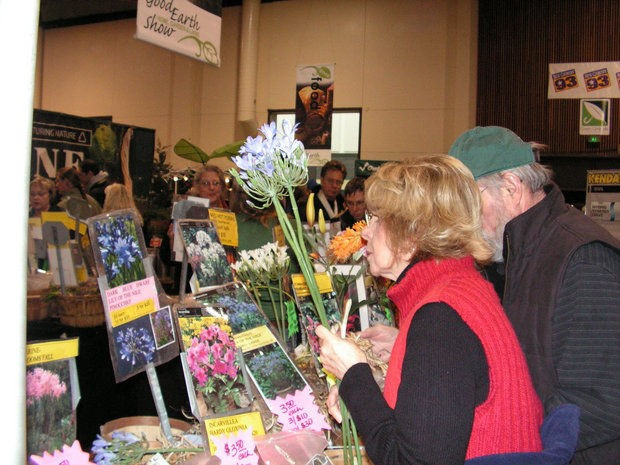 The annual Lane County Home & Garden Show is a sure sign that spring is just around the corner. If you visit the Fairgrounds this weekend, stop by the OSU Extension Service and Compost Specialist booths. They are located in the Expo Hall on the south side of the Fairgrounds. Extension faculty, staff, and volunteers will be there throughout the event, so don’t hesitate to drop by and say hello! I also want to take this opportunity to thank Berg Productions for its ongoing support of Extension’s educational programs. We reach hundreds of Lane County residents every time we participate in one of these shows. Due to our current budget situation, this could be the last time Extension is around to participate in one of these shows. That’s why there’s no time like the present to thank everyone at Berg Productions for all you’ve done to support our educational efforts over the years! You are a great community partner and we want you to know how much you are appreciated! This weekend’s green home show in Eugene, Oregon known as the Good Earth Home Show brought in $11,969 by individual donors to which Berg Productions, Inc., the show’s management company, added an extra $10,000. Berg Production is a small Oregonian company started by women that wanted to see sustainable home shows in their community. They encourage workshops and businesses that match their own values for social and environmental responsibility. A gift of $33 provides the medicines and supplies for an entire family during the critical days immediately following a major disaster. A gift of $66 funds one doctor’s clinical work for one day in Haiti. A gift of $2,000 funds one doctor’s clinical work for an entire month. People can give an automatic $10 gift by texting HOPE to 253-83; on-line at www.medicalteams.org, calling 1-800-959-4325; or mailing a gift to P.O. Box 10, Portland, OR 97207. The Good Earth Home Show has a history of assisting community aid associations since the first green home show in 2006. Donation barrels for Food for Lane County are familiar sights at the entrance to every show. They have collected over 300,000 pounds of canned food for this charity in the last few years. Images from this year’s earthquake in Haiti opened the hearts of Oregonians so MTI was added to the list of charitable opportunities for those who share Berg Productions dream of a healthier, greener world. The 5th Annual Good Earth Home, Garden & Living Show held January 22-24 in Eugene, Oregon is partnering with Medical Teams International, based in Portland, Oregon, to raise funds for disaster medical assistance in Haiti. Admission into the show is free, show attendees can double Haiti donations because Berg Productions, the show management, will donate up to $10,000 in a match for every dollar donated to Medical Teams International at the show. Medical Teams International volunteers will be collecting donations by check or cash in the lobby of the show and by credit card at their educational exhibit located in the North Hall. As a supporter of Medical Teams International, formally known as NW Medical Teams, Ms. Berg is confident that these donations will be maximized for life sustaining assistance. This Portland, Oregon based non-governmental organization (NGO) was founded in 1979. Medical Teams International served more than 4.5 million people in 53 nations and delivered more than $126 Million in supplies to 45 countries in the last year alone. They also provide dental care to those in need with 11 mobile Dental Clincs in the Northwest and one in Minnesota. 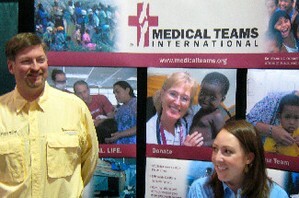 On January 14 Medical Teams International sent a very experienced team of six people to Haiti. They carried medicines and orthopedic supplies – enough to help 12,000 people for a week. An orthopedic specialty team is scheduled to depart on Sunday, January 17. Show management will match cash, check & credit card donations given AT the January 22-24 show – up to $10,000. Please make all checks out to Medical Teams International, Cash & Credit Cards will be accepted at the show as well. Lane Events Center – Fairgrounds in Eugene, Oregon. Eugene Home Show was honored to have United States Senator Jeff Merkley tour our October 2009 Lane County Home Improvement Show in Eugene, Oregon. 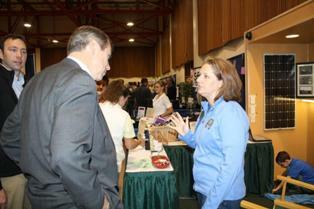 The Senator visited with our exhibitors that are focused on building Oregon’s green economy and creating jobs for a stronger Oregon. We hope the Senator found his visit to the show interesting and invite him back to our January 22-24, 2010 Sustainable Good Earth Home, Garden & Living Show, America’s 1st Sustainable Home & Garden Show! 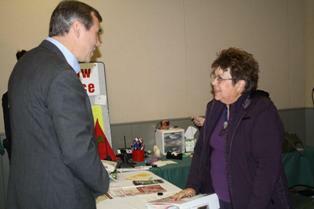 Senator Merkley meeting Eugene Home Shows founder Helen Berg. Senator Jeff Merkley discussing solar with Solar Assist. 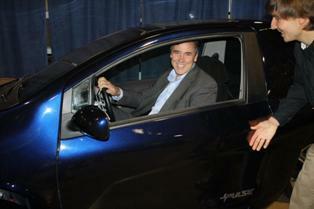 Senator Jeff Merkley visiting the exhibit of Arcimoto! The Senator tries out the electric Arcimoto Pulse, made in Eugene. 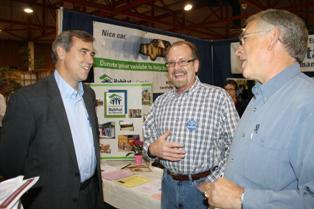 Senator Merkley served as President of Habitat for Humanity in Portland, Oregon. Visits their exhibit at the fall ’09 show. 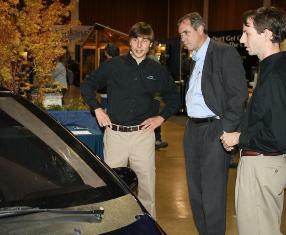 Senator Merkley visiting with Lynn’s Electric regarding solar technology. The Lane County Home & Garden Show has been selected for USA Exposition’s “National Home and Garden Show Series™” for 2010, a designation that brings the potential to attract national marketing support to the local event. It is one of the largest consumers shows held annually at the Lane County Events Center, Eugene, Oregon, attracting 30,000-plus visitors over a four-day period. It is now one of 30 of the nation’s top independent home shows that have joined forces with USA Expositions, a Cleveland-based marketing company, to launch PremierHomesShows.com and the national series as a vehicle to combine their resources and their reach. It will be joining up with other events from Seattle, St. Louis, Philly, Louisville and others in this collaborative effort to gain access to national companies. “This premier 30-show portfolio provides a collective media expenditure/sponsorship benefit of $5 million and direct access to more than 1.5 million show attendees,” said Brian Roggenburk, president of USA Expositions. This union of the best-produced and best-attended shows in the U.S. provides national companies the opportunity to easily and effectively gain coast-to-coast exposure and meet their customers face-to-face in a variety of different markets, he added. Roggenburk was founder and managing director of IMG Expositions – the firm’s consumer show division. He brings more than 30 years of experience in event marketing, including his 25-year tenure at IMG (the world leading sports marketing and event company), representing and working on the firm’s two most prestigious accounts – Wimbledon and The Open Championships, aka The British Open. The series has partnered with Better Homes and Gardens Magazine to provide discounted subscriptions to attendees of the participating shows. The National Home & Garden Show Series will be pursuing major automotive and home improvement partnerships for the local events. 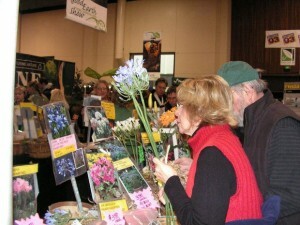 The Lane County Home & Garden Show is scheduled for March 11-14, 2010 at the Lane Events Center. The 31st annual show will present over 350 exhibiting firms, 45 educational seminars, landscapes, national and local speakers. For more information, including a list of the participating independent shows, event dates and locations, visit www.premierhomeshows.com. Spring 2009 Show featured on RetroRenovation.com by 50’s Pam! 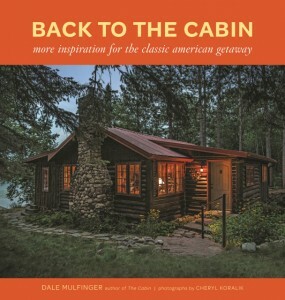 How to boil down a year-and-a-half of Retro Renovation learning into a 45-minute home show talk? 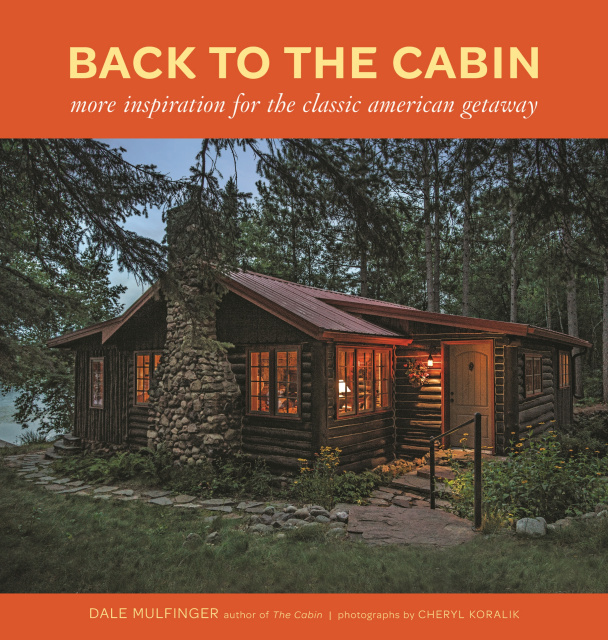 A number of readers have asked… no, I don’t have it on video, sorry… but here’s what I talked about at my recent talks at the Lane County Home Show in Eugene, Oregon. A mix of… social history… vintage 40s 50s and 60s eye candy… my own story and how I got into the blog… and products and ideas to preserve, restore and renovate modest, middle class ranches, capes, colonials, splits and bungalows. Oh – and read on for some other fun stuff from the show, too! To start – I talked about the historical context for our midcentury, middle-class homes: The many years of privation in America, beginning with the Great Depression and extending through WWII… and how that created pent-up demand for housing and things like dream kitchens – as in the 1942 Hotpoint kitchen ad, above. 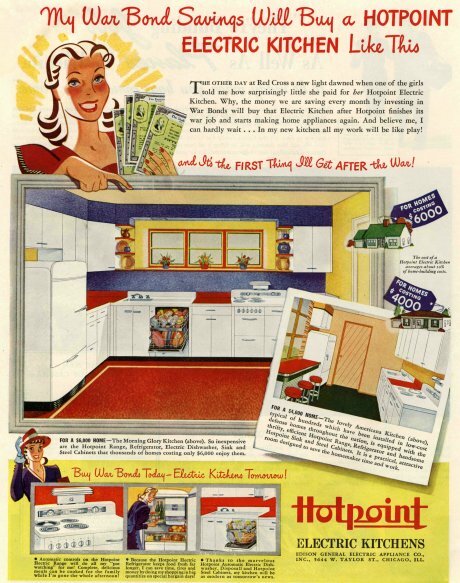 Fast forward from 1942 to 2002 – and my own search for a dream kitchen ultimately led me to create this blog. I talked about Cape Cods by Barry Wills… then ranch houses… and how these two American housing styles mashed up into all kinds of combinations in the postwar era. We raced through 25 years of design history and looked at interiors from the 40s, 50s and 60s. Of course this included hudee rings (only one person out of hundreds knew what these were already)… pecky cypress (totally alien to the west coast)… and of course, pink bathrooms. Everyone loves pink bathrooms! At the end of each talk I showed the St. Louis 1955 time capsule. As an example of just how much these homes meant to their original owners… and of how caring people today are recognizing their value and the reasons for preserving and restoring them. In all: The audience was very receptive… these were folks who owned midcentury homes and were looking for more inspiration to love them… and some folks, too, who had lived through the era and wanted to rekindle memories.